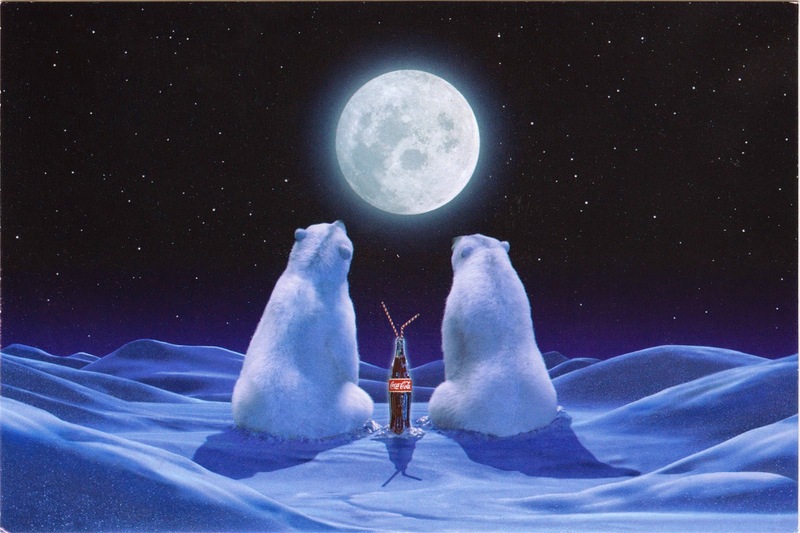 Postcard US-2776626 to Poland shows two polar bears gazing at the moon, from a Coca-Cola advertisement campaign in 2002. You can read more about how the Coca-Cola polar bears came to life by visiting the Enduring History of Coca-Cola's Polar Bears; and see more polar bear posters and other Coca-Cola's advertising postcards. If you get a chance to visit the Everything Coca-Cola store in Las Vegas, make sure to have your picture taken with the polar bear. You may even find the bear dancing!